Our range of products like OPD Instruments is highly acknowledged for features like high functional reliability and consistency. These are made from high grade materials and advanced features and sophisticated technology. These are widely known for excellent battery backup and reliable performance. These are checked on various parameters to deliver a defect free range. 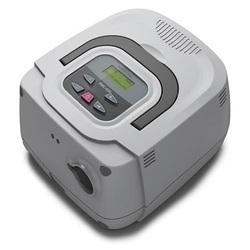 Oxygen concentrator is a process to produce oxygen gas on instant basis. 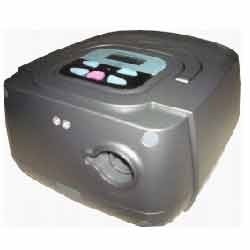 We supply oxygen concentrator for home care and medical use purpose as required by the patient which is easy in using and completely harmless. 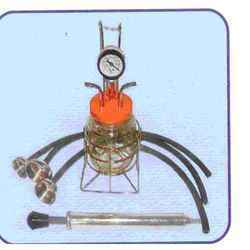 They are used for therapeutic applications in home, hospital, and clinical. 10o to 40o C Temp. 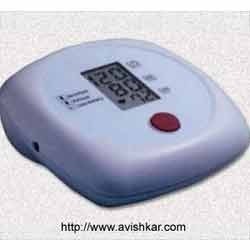 We are the leading and prominent Manufacturer, Exporter and Supplier of Digital RVG Timer. 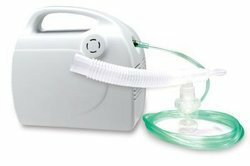 Compressor Nebulizer for Aerosol therapy is used to treat bronchopulmonary disease. Aerosol therapy allows the delivery of medications, humidity, or both to the mucosa of the respiratory tract and pulmonary alveoli. This is accomplished by breaking down the medication into a very fine vapor so that it can be easily and successfully inhaled. 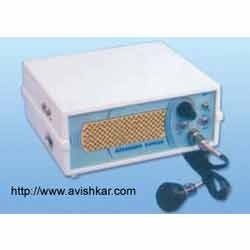 We provide a range of ultrasound Doppler which are made from supreme grade material and sophisticated technology with latest features. This product is known for its successful performance and powerful design. 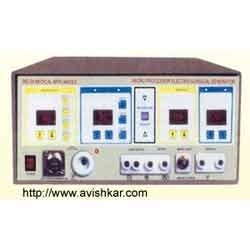 This system is widely applied in various clinical applications to examine and diagnose on abdomen, gynecology, obstetrics, heart, organelle and urology etc. Microcontroller or based circuitry Digital display of Beats Per Minute of Fetal & Adult heart beats. Range - 60 B.P.M. to 200 B.P.M. Low Alarm - 100 B.P.M. High Alarm - 160 B.P.M. 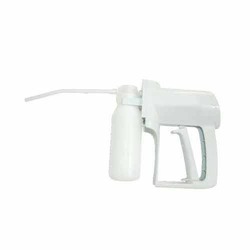 Vacuum Extractor Bird Type with SS Cup offered comes in precision designed and constructed finish and can be made available with different plain silicone cups in size options of 50mm, 60mm, 70 mm. made available in box packaging, the product features cups that are auto cleavable as well as latex free. 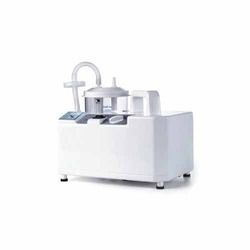 Some of its features include cups developed from high grade silicone rubber and latex free finish, auto cleavable at 134°C, usage as suction machine/gauge; product comprise stainless steel rubber pressure tubes, traction handles and suction pump; all support components come un a nice and durable carrying case packaging finish. Adopting the special air pump, RESmartTM provides users stable 2 - 20hPa therapy pressure. Ramp capabilities allow a 0 - 60 minutes time period with adjustable ramp starting pressure. Automatic leakage compensation and 4-level altitude compensation ensure the therapy accuracy anywhere. 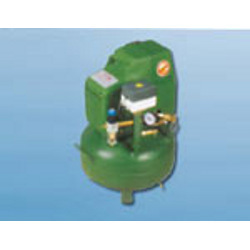 Electrical: 0-575 mm Hg ± 10, Vacuum 14 ltr / min. Wide mouthed autoclavable 2 ltr collection jar (Polycarbonate), safety jar with mechanical / electronic overflow motor shut off system and bacterial filter. Operates on 220 V AC and Pedal (manual). In-built maintenance free 12 V DC battery. 55 Watts. 120 minutes on full charge. 4 x 28 x 27 cms, 9.5 Kg. Provided with AC adaptor and lighter socket cable for use in ambulance / car. Can be hung in ambulance or on wall. 17 x 5 x 18 cm. 192 gm. 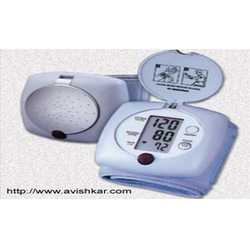 Digital Blood Pressure Monitor, AVI-2306 offered provides working as smart sense automatic wrist blood pressure monitors and features presence of 90 automatic memories, one touch operations as well as provision for auto shut off. Coming with digital operation base, it also features extra large LCD display support which provides excellent display clarity. Based on latest technology, these monitors are also easy to use as well as provide for accurate readings and measurements. 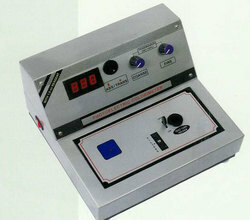 These systems are ideally used for checking as well as regulating of blood pressure. 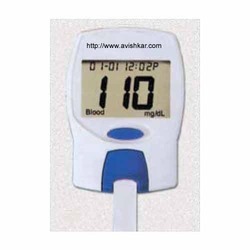 Digital Blood Pressure Monitor, AVI-2307 offered comprises semi-automatic upper arm blood pressure monitors that feature functional support for last reading recall as well as beeping reminder function. Also coming with provision of auto shut off, these systems deliver accurate functionality support and are made available at competitive prices. Based on latest technology, these provide for accurate & easy-to-use accurate measurement and reading support. Also featuring presence of large digital panel, these are long lasting in terms of usage and provide for complete cost compatibility as desired by the customers. 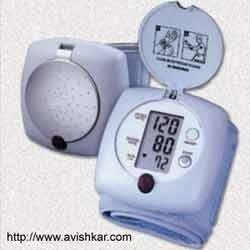 Digital Blood Pressure Monitor, AVI-2308 offered comprises smart sense automatic wrist blood pressure monitors that come with 60 automatic memory support as well as one touch operations. Featuring auto shut off support, these monitors are convenient as well as cost effective way for keeping track of blood pressure and pulse rate anytime. Also coming with latest technology support, these are also easy-to-use as well as provide for accurate measurement and reading as desired by the customers. Some of the other features include convenient D-ring contour cuff and equipped with AC adapter jack support. 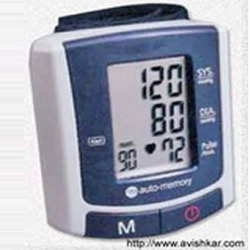 We offer a wide range of Digital Blood Pressure Monitor which is made from high grade material in strict conformity with the internationally defined standards. They are easy to operate, highly accurate and reliable. These are available in various specifications based on the client’s requirement they can choose from this wide range. Clients can avail from us Ultra Sound Doppler that is used to produce a picture of the blood vessel. 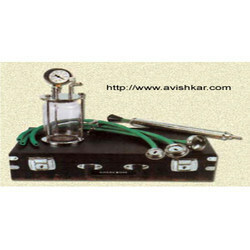 They are highly appreciated by medical institutes for their reliability and accurate performance. These are made from high grade material as per the international quality standards. They are accessed at a cost effective price. Innovative tracking technology ensures accurate and comfortable therapy. Unique sensitivity setting offers individual therapy algorithm, makes every user get the most comfort. RESlexTM performs better exhalation and compliance. Automatic leakage and altitude compensation ensure the therapy accuracy anywhere. Unique Delay-off feature protects RESmartTM from humidity hazard. Isolated generator circuits along with independent Monopolar & Bipolar generator. More safety to patient & surgeon. For all modes audiovisual indication. Compressor offered provides for noiseless operations and is available under model CAJ35/CAJ2612. 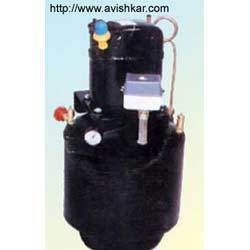 It comes with H.P of 0.5/0.9, volt of 230V, tank capacity of 38 liter and weight of 36kg. Other than this, we also offer Abacitalian (oil free) under model OL. 231. 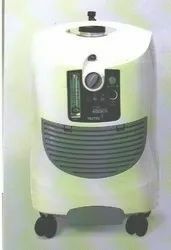 It comes with H.P support of 2, volt of 230V, tank capacity of 50 liter and weight of 38kg. Here, we also ensure these are backed by latest technology support so as to provide for optimum functionality in given operations. 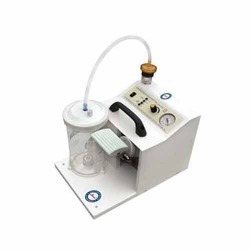 Oil-free (imported head) medical grade dental air compressor for 100% pure air.